Welcome to Episode 7, “LA Galaxy All Time Starting 11.” Big shout out to all of our awesome listeners who submitted their LA Galaxy all-time starting 11 line up. It was very interesting and fun to play with this concept. Thank you! 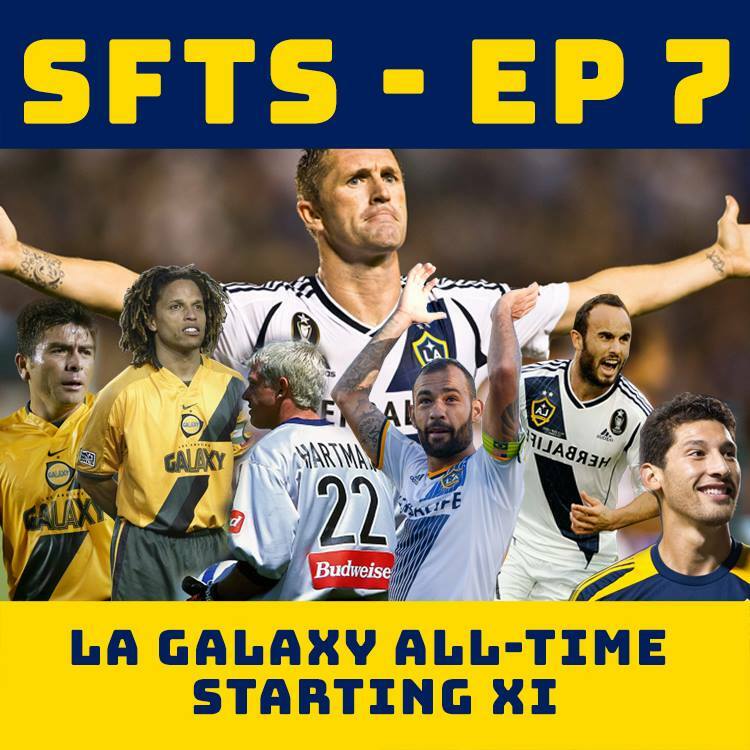 In Episode 7, “LA Galaxy All Time Starting 11,” the #SFTS boys begin with recent LA Galaxy news and rumors. Also, insight on how Maza’s brain thinks. Then the really juicy stuff when the crew plays an interesting game of best 11; in this case, the LA Galaxy’s all-time best 11 over the last 21 years. Close out the show with #SFTF segment about the Dos Santos brothers. – 2:01 Brief discussions on LA Galaxy recent transactions and rumors including acquiring rights for Servando Carrasco, transfer rumors relating to Perry Kitchen, and the way Maza’s brain thinks – specifically about Joao Pedro. – 09:43 The highly anticipated discussion begins: LA Galaxy’s all-time starting eleven including the bench. – 26:05 #SFTS discuss their respective starting eleven line ups that include the likes of Robin Fraser, Greg Vanney, Todd Dunivant, Tyrone Marshall, David Beckham, Landon Donovan, Robbie Keane, and Cobi Jones. – 56:10 Crew discuss LA Galaxy’s all-time starting elven that were submitted by the listeners including David from LAIOH. – 1:18:30 #SFTF (Straight from the Fans) Segment comes from our buddy and listener of the show, Gus. The topic, Giovani dos Santos and Jonathan dos Santos. Follow us on Social Media tho!